This sauce is so tangy and delicious! This is great on phase 2 when you need a different change of pace! This sauce is not a sweet sauce, like a Memphis BBQ Sauce. Feel free to adjust the spice to make it more or less spicy. You can make it more sweet or less sweet. Use smoked paprika for a smoky hint. Whisk everything together in sauce pan and simmer on medium heat for 5 minutes. Cool and store in jar in fridge for up to 2 weeks. This sauce tastes better the next day. Put the pork into a crock pot or Dutch oven. Pour vinegar over and sprinkle with salt and pepper. 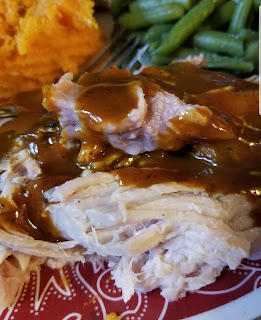 Cook on low 6-8 hours, or high 4-6 hours in crock pot or at 250 degrees in oven for 6-8 hours. 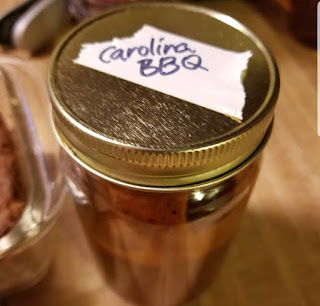 When pork is done, shred with fork and pour some warmed Carolina sauce over. Serve on sprouted wheat bun in phases 1 or 3, in romaine leaves in p2, along with some hot steamed veggies. Thank you Carolyn! Looking forward to trying this. 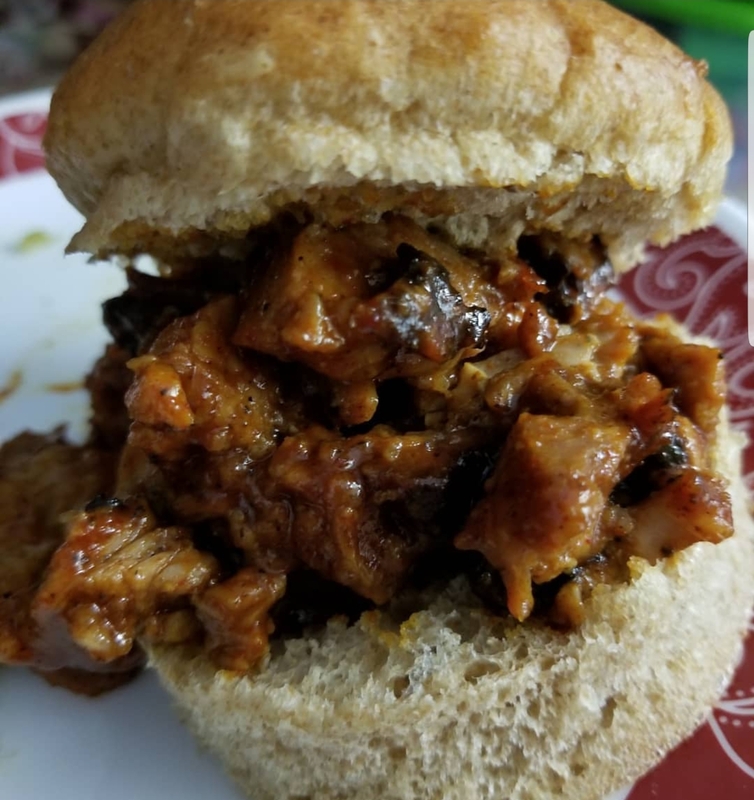 I have some pork in my freezer that I've been wanting to make into pulled pork. 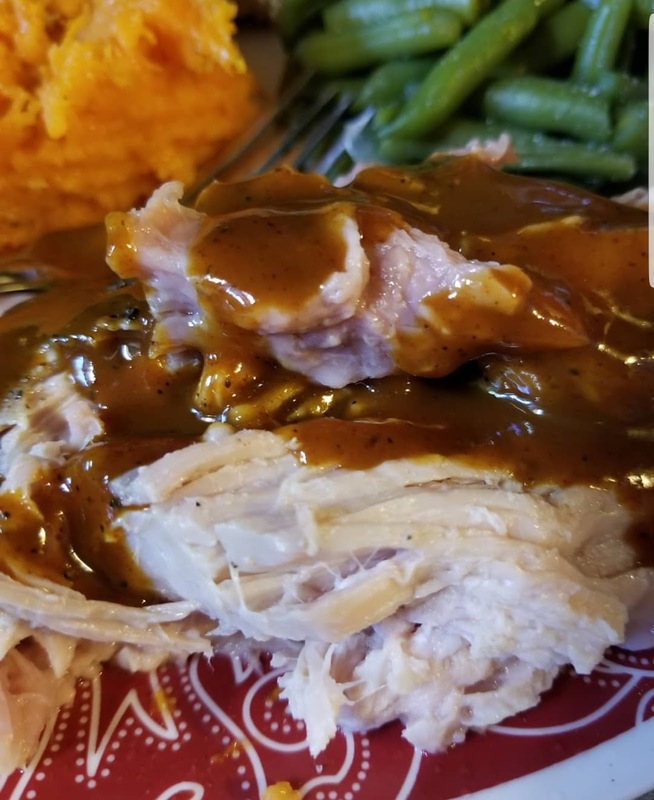 I made this yesterday and put the sauce in the fridge overnight for my phase 2 on wed and thurs...the pork is just falling apart, so moist and so tender...the APC was the trick I've been looking for...I just had the first taste of the BBQ sauce with the pork loin and OMG!!!! I've found a new favorite!! Pair with some Italian cut green beans...Being down here in the south, we love spicy so I did add a bit more chili powder and some how sauce...but my on my!! I'm so glad you like it!! It reminds a bit of Jim n Nick's sauce, here in TN. Laura, I'm sure it was a typo. Wonder if you will be adding instruction using instant pot electric pressure cooker? I'm sorry, I don't use the Instapot. My kitchen is tiny and I have no room or budget for other appliances. I'm sure the instruction manual will explain how to cook the roast, then all you do is add the sauce after it's cooked! I made this and it is amazing.....the pork was good too. I was surprised it wasn't drier since it was a loin and not a shoulder. Thanks for the recipe! I'd like to make this with chicken breasts. How many should I use in this recipe? Simply cook as many 4 or 6 oz portions (depending on your weight loss goal, if on FMD) as you need for a meal and toss in some sauce. Love that this is on all 3 phases! We make this once a week with either chicken or pork. So yummy!